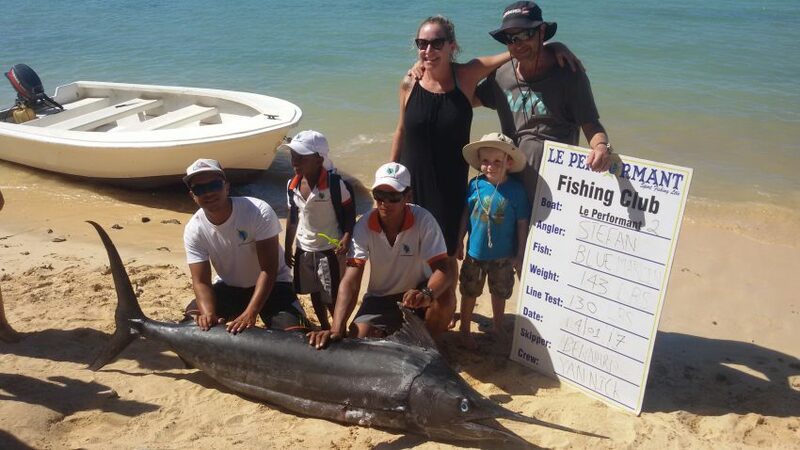 6 hours was enough for the team on the Boat ”Le Performant 3″ to catch a Blue Marlin of 151LBS and 113 LBS. 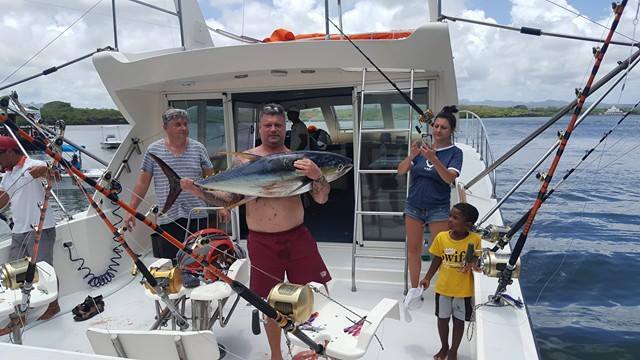 On Saturday, 14/01/17 Angler Stefan, on holidays in Mauritius with his wife & his little son had gone for a Big Game Fishing all together. They were on our boat “Le Performant 2” with Captain Bernard and Yannick (Crew Member). The team and visitors finished their day with a Blue Marlin of 143 LBS and a big Dorados. Our Vessel ‘LE PERFORMANT 1’ caught on 13/01/17 2 Blue Marlin 170 LBS and +_ 700 LBS and 1 Yellow fin tuna 58 LBS ,1 Dorado and lots of Bonitos. 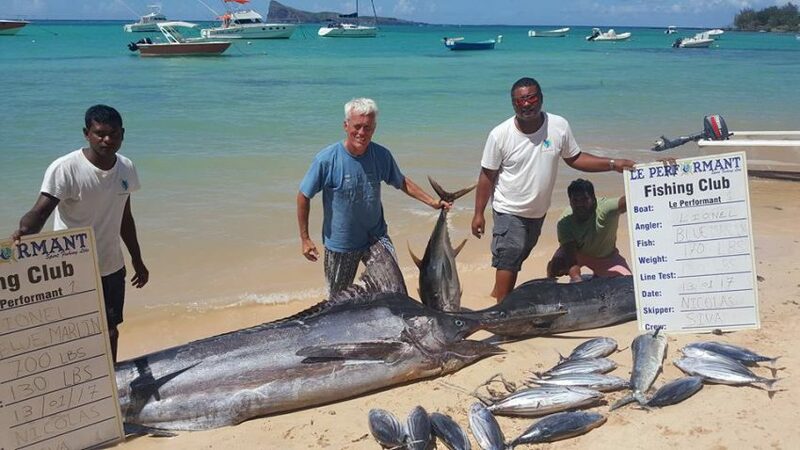 Nicolas was the skipper with crew member Siva and the angler was MR LIONEL .WHAT A DAY! Mr. Raj and his friend from Amercia had booked for today their fishing trip at our club. They finished the day with 206LBS of Skipjack Tunas. captain Bernard were on board the “Le Performant 3 accompanied by Percy ; crew member. 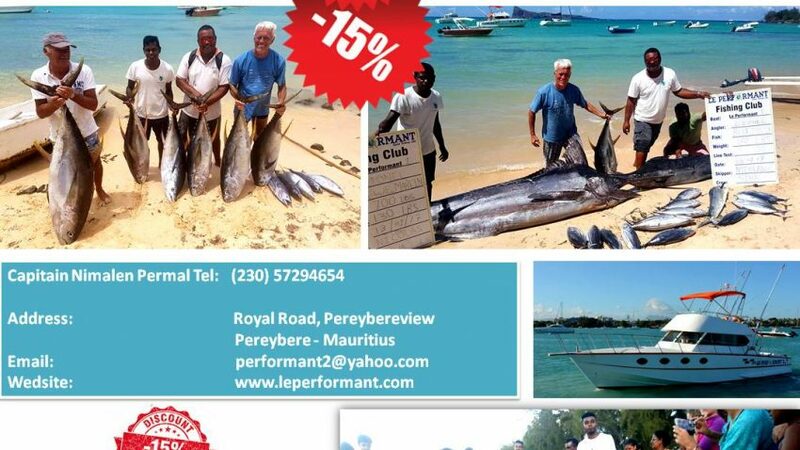 Le Performant fishing Club is the best club for Mauritius big game Fishing. 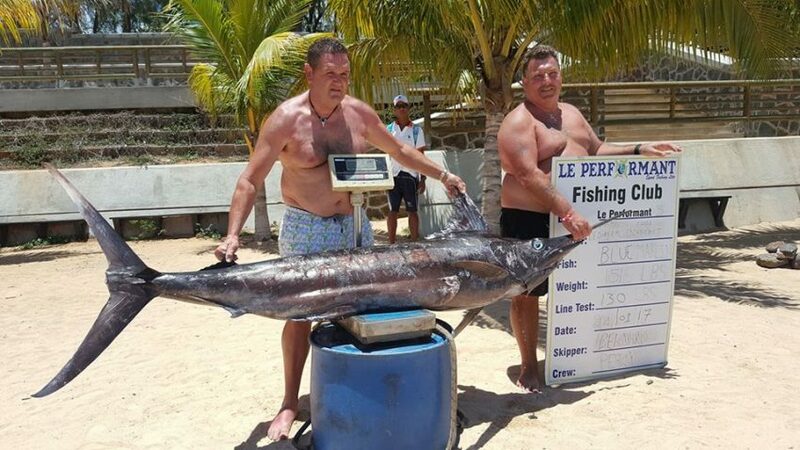 On satuday 07 January 2017, 2 Marlins were caught on the boat “Le Performant 4”. 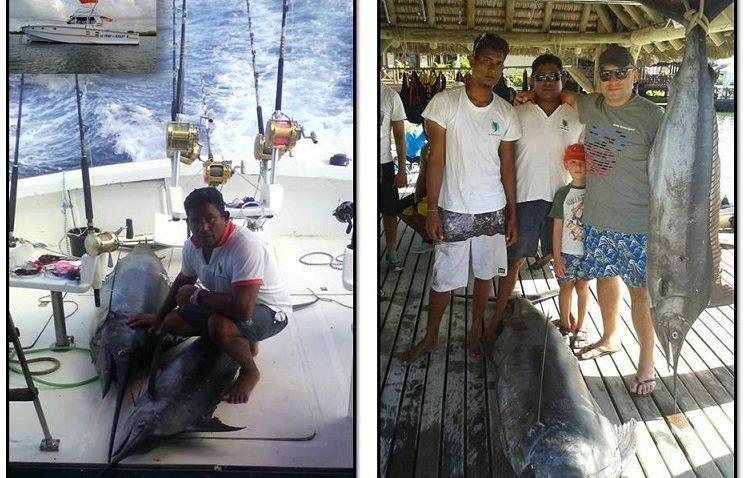 Angler Mr Arvind caught this morning a Blue Marlin of 142 LBS, accompanied with his friends. 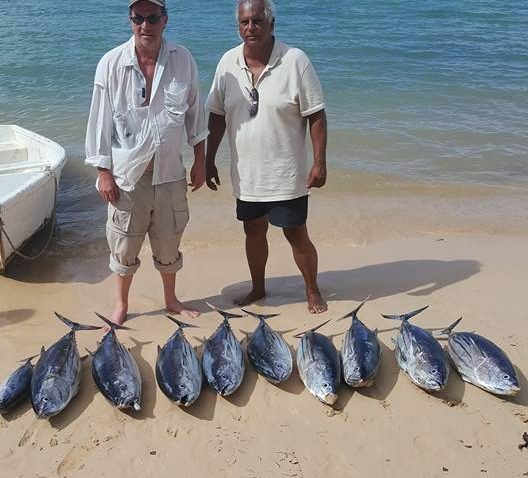 As Mauritian, Angler had chosen the best fishing club in Mauritius (Le Performant Fishing Club) to try his Big Game Fishing. He had booked our boat “Le Performant 1” and the latter was control by the captain Nicolas and helped by Siva. 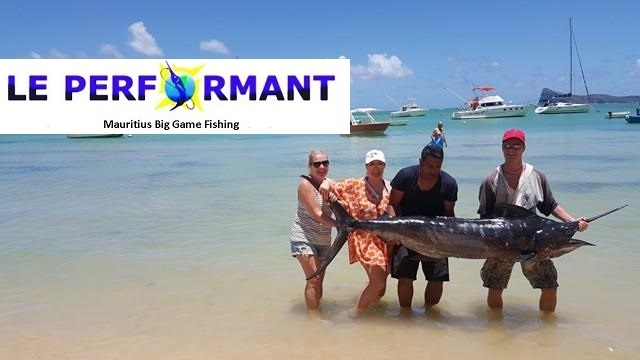 Angler Konrad Lewandowski and his family who were spending there Christmas and New Year holidays in Mauritius, decided to chose Le Performant Fishing Club to try the big game fishing. They had booked the boat “LE PERFORMANT 2” for this morning and caught on 05/01/17 1 Yellow fin tuna 64 LBS and 3 small Skip-jack tuna. They were accompanied by the skipper Bernard and Yannick member of the crew.